A leading advocate for national highways in the early 1900s was Charles Henry Davis. 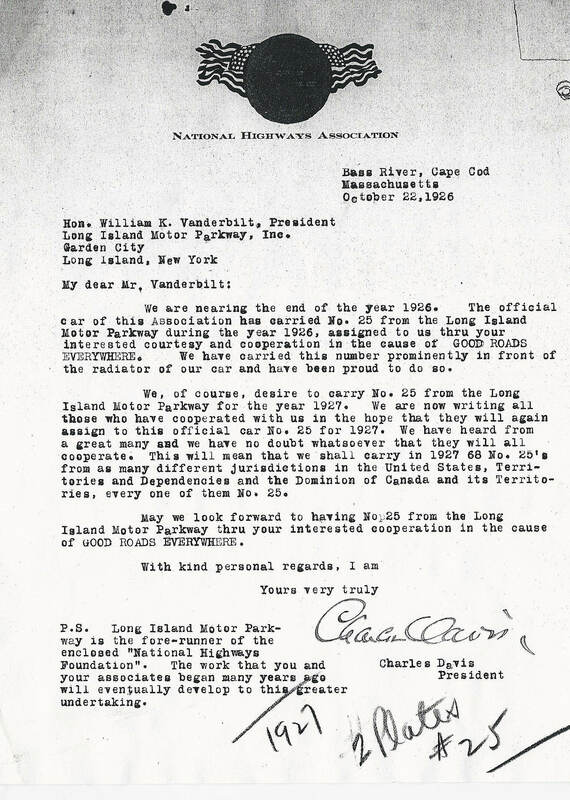 Here is the story of Davis, the "Good Roads Everywhere" movement and the link to the Long Island Motor Parkway. Charles Henry Davis was a civil engineer and a wealthy businessman based in Massachusetts. His grandfather and father were early pioneers in road and street railway construction and had considerable coal holdings. 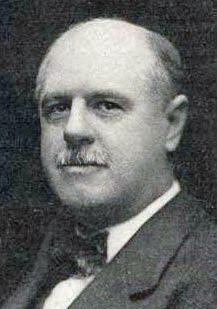 Charles Davis was president of his family business American Road Machine and became the leading advocate to build national highways and good roads. 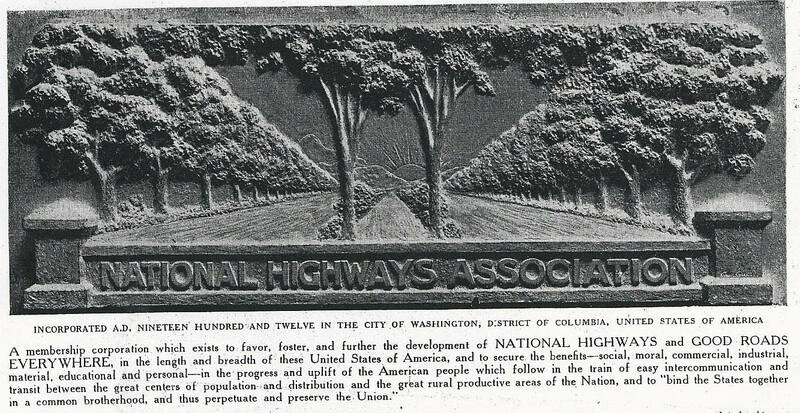 In 1912, Davis established the National Highways Association to "further development of National Highways and "Good Roads Everywhere". One of its earliest initiatives was the proposed building of a 50,000-mile network of National Highways. 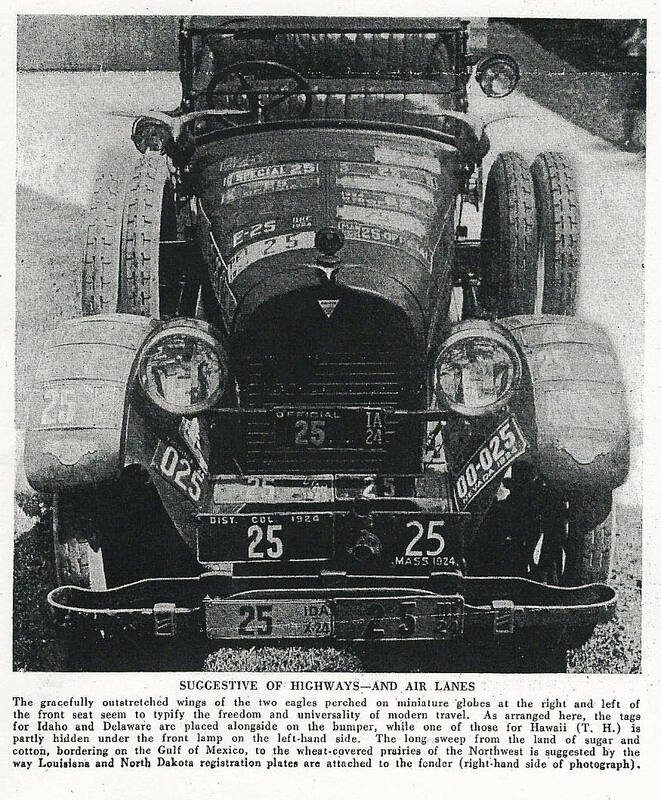 To publicize the National Highways Association and the Good Roads Everywhere movement, in the 1920s Davis traveled more than 350,000 miles in his favorite Hudson. His automobile was covered with #25 license plates. Davis had reached out for this specific plate from licensing departments througout the Unitied States and Canada. 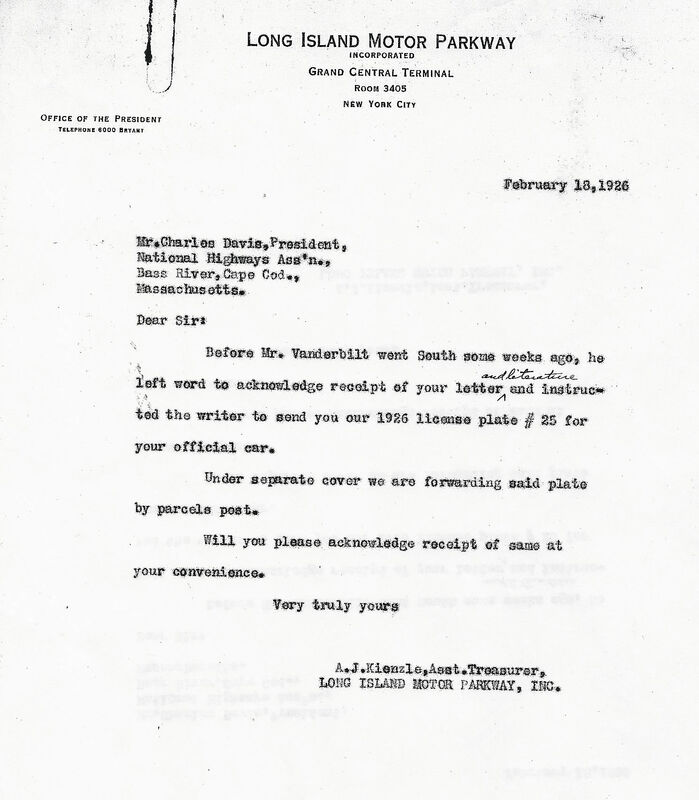 In this 1926 letter to William K. Vanderbilt Jr., Charles Davis requested the #25 Long Island Motor Parkway plate for 1927. Two plates were eventually sent to Davis. Note the P.S. in Charles Davis' letter: "The work that you and your associates began many years ago will eventually develop to this greater undertaking." Courtesy of the Suffolk County Vanderbilt Museum. 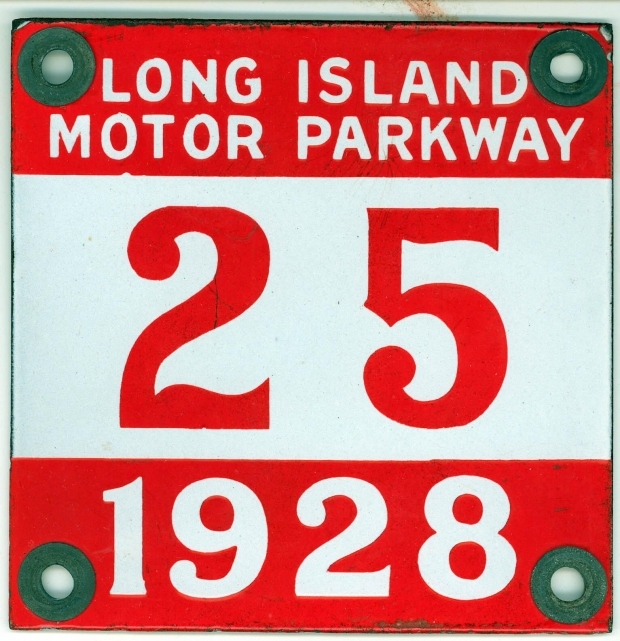 The Long Island Motor Parkway Inc. continued to supply two #25 plates to the National Highways Association until 1934. I am the proud owner of this 1928 #25 plate. Hats off to you again and again and I salute you again and again…. May God Bless you and keep you always !!!! Very interesting read about Mr. Davis, a man that was certainly ahead of his time. I’ve been driving for 30 yrs now, and drove close to 350,000 miles at this point. And I’m up to my 5th car! Sam, great question! It has never been explained. Howard, Great article on the #25 motor parkway plate. As most Parkway buffs know, the plates are the single most sought after Parkway collectible. 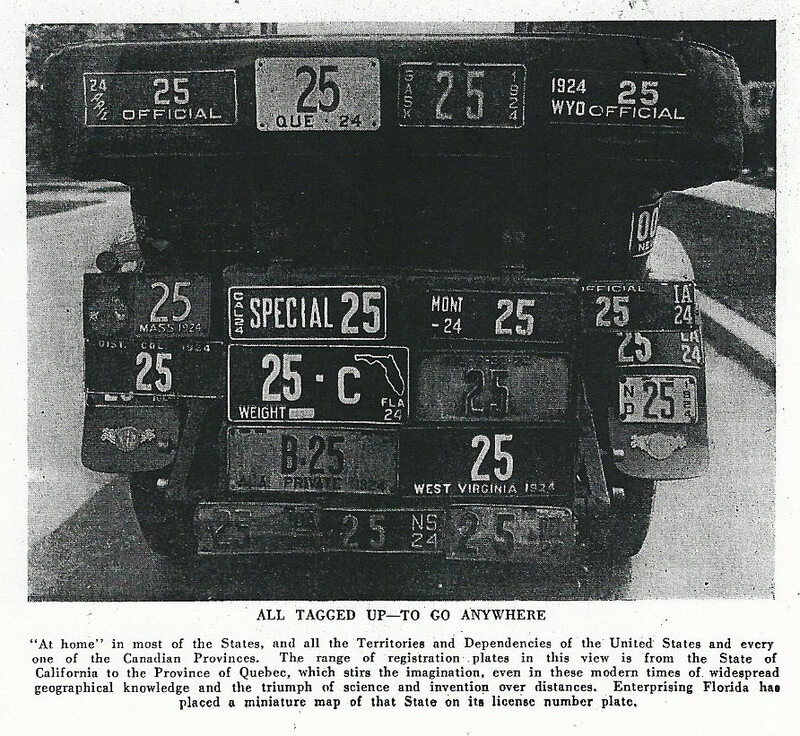 Starting in 1927 the National Highways Association actually had two automobiles touring the United States covered with #25 plates from various jurisdictions and states promoting the building of more and better highways. Of the hundred or so surviving Motor Parkway plates, about ten bear the # 25. There is a good reason why so many of this number exist. Every year the Association would return the previous year’s plate the the Parkway. Kienzle, the Parkway” s general manager, would simply give them away, mostly to the children of the Parkway"s employees. 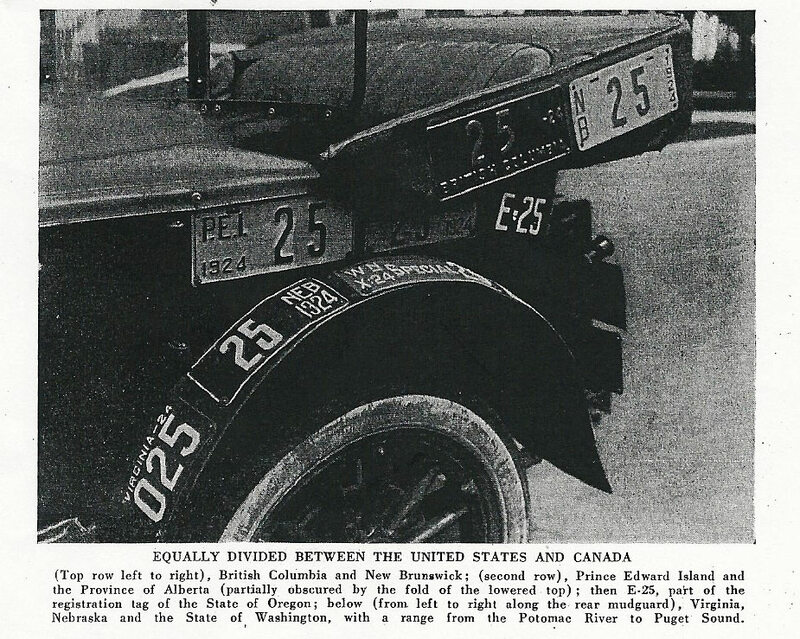 There are two color variations of the 1927 plate . For 1927 the Parkway selected orange numbers and letters on a blue background. 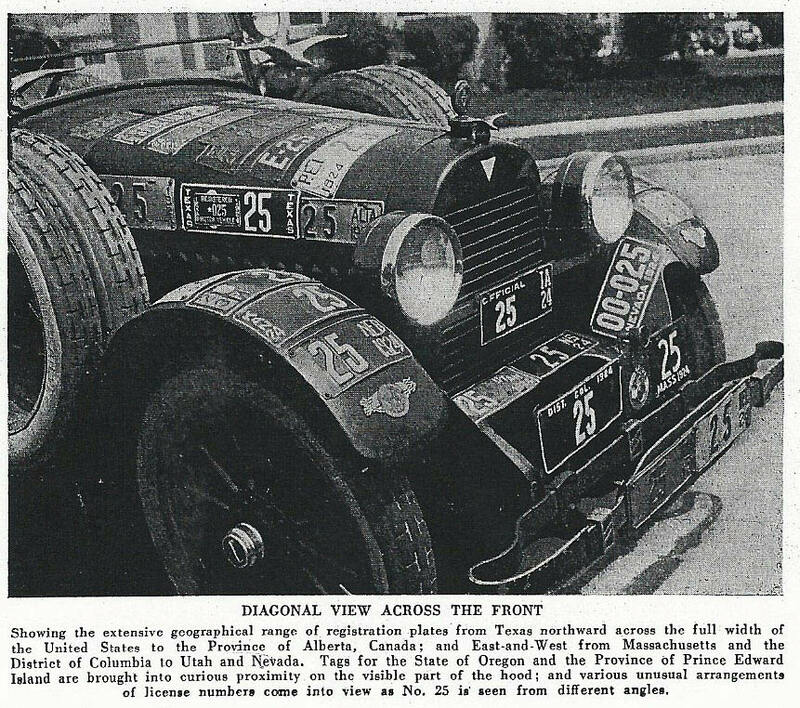 In early 1927 the Highway Association wrote Kienzle telling him the plates arrived badly damaged and could not be used. Kienzle immediatley contacted the plate manufacturer and told them to, quickly as possible, send two # 25 plates directly to the Association., which they did. However, in there rush to fill the order, the colors were reversed. Kienzle, who never saw the plates, was unaware of the error as they were never used on the Parkway. I wonder what his reaction was when he received the plates in early 1928.